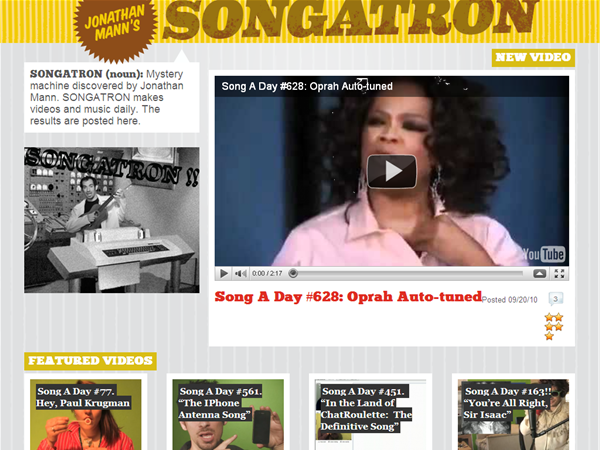 Writing a song a day the site SongATron.com by Jonathan Mann is participating in what could be considered a Song Marathon. We could not find that song but here is his song Zombie Ponnies. If you want to make a request he’ll gladly right you a song, yes he may be little crazy, but he definitely has a knack for writing songs on the fly. Im going to email him and ask him to write a song about Chicken Ninja’s and see if he’ll do it for me. I like chicken and ninjas, so a chicken ninja is right up my ally. Update here is the song about ren! 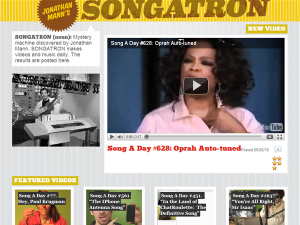 This entry was tagged Jingless by Jonathan Mann, Jonathan Mann, Jonathan Mann on NPR, Jonathan Mann Song a Day, NPR, NPR Ren the Polyamorous Polar Bear, Polyamorous Bear, Polyamorous Polar Bear, Ren the Polyamorous Polar Bear, songs by Jonathan Mann by pagestat. Bookmark the permalink.